Imagine Yourself, Just Weeks From Now, Experiencing The Biggest Personal Breakthrough Of Your Life! "Natalie Ledwell is an amazing teacher and I’m pleased to call her my friend. And what she’s doing to change the lives of millions of people around the world is simply incredible." Consultant, Author, Lecturer, and Motivational Speaker. I know it's unusual to start a letter this way, but the invitation I'm about to show you is not for everyone. You see, I created this page to invite you to the Ultimate Success Masterclass: a transformational journey towards the biggest personal breakthrough (or breakthroughs) of your life. And who couldn't use a breakthrough, right? But before we continue this conversation, I must tell you that this is a different kind of personal growth experience. For one, the Ultimate Success Masterclass is highly personal. It will shake you up and leave you questioning yourself, your beliefs and your entire life. At certain moments it may even leave you in tears. Secondly, it will transform you on such a profound level, that it's possible you'd barely recognize your 'old' life just a few months or weeks from now. "I know I have the potential to step up and play a bigger game"
"I have a so-big-it's-scary career/financial/personal goal that I dream of achieving"
"I believe life should be an exhilarating adventure or nothing at all"
"I am open to collaborating with a mentor and like-minded tribe who are passionate to help me achieve my goals"
"I am open to bold new methods of personal growth that will shake me up in all the right ways"
The Ultimate Success Masterclass is the culmination of every lesson, technique, technology and breakthrough that my team and I have gathered in the process of helping 5.8 million people elevate their lives. To give you a holistic and universal "formula" to superhuman success. To help you spark profound breakthroughs in every area of life that matters to you. * Not just improvements to your work performance... but explosive growth that leads to raises, promotions, business expansion, and even entirely new career paths. * Not just a healthier perspective on wealth... but major breakthroughs in your money mindset and your ability to attract lucrative opportunities, people and circumstances into your life. * Not just a little more free time... but the emotional, mental and financial freedom to create a passion and purpose-driven life on YOUR terms, filled with people, experiences and places that fill you with joy and fulfillment. * Not just deeper connections with your loved ones... but a newfound ability to empathize, empower and positively influence everyone around you - from family, friends, and co-workers, to present and future lovers. * Not just greater personal energy and focus... but a deep and lasting positive change in the way you nourish, heal and strengthen your body (don't be surprised if people start swearing you look 10 years younger)! was struggling to help many of the people who came to me. Most Of Us - Even Those Of Us Committed To Our Personal Growth - Are Only Oiling A Handful Of Cogs In The Machine! What exactly do I mean by this? Do you STILL feel stuck... unproductive... uninspired...and unmotivated... just a little too often for comfort? And do you perhaps struggle to put your finger on what's missing? But is it just human nature to feel this way? And countless other unnamed 'superhumans' who somehow manifest their goals almost as fast as they can imagine them. Now, I'm not saying these people don't have their down days - of course they do, because they're just as human as you or I. But what's so fascinating about them is, they have - sometimes completely unconsciously! - created empowering systems that allow them to soar above their human limitations... and reach levels of success and abundance most of us can only dream of. Performers From The Rest Of Us? Or did the Universe just give them a lucky break? The Ultimate Success Masterclass is your gateway to this formula. And you know what's great about following a formula? So much of the hard work has already been done for you! All you do is trace its steps... and your success is virtually guaranteed. A lot of people think personal growth coaches like me have nearly perfect lives. I mean, we should be practicing what we preach, right? Well I'm happy to report that today, I'm blessed with the life of my dreams... a business that helps millions of people... and the freedom to live on my personal terms. But a few years ago, I was a broke and exhausted entrepreneur. No matter how much I struggled, hustled and did the 'inner work'... I couldn't take my Mind Movies movement to the next level. I even constantly feared that people would out me as a phony. And as I began piecing together the Ultimate Success Formula, I realized precisely what was holding me back from being of full service to myself and others. The Ultimate Success Formula taught me to start making small but profound tweaks to my daily life. And so I changed my habits. I became more conscious of my inner dialogue. I experimented with new personal growth tools and techniques that challenged and shook me up. The results showed within days, and intensified in the weeks that followed. I felt more confident. More focused and energized. More grateful, positive and empowered. And as this happened... my outer reality began shifting too. I saw a surge of interest in my Mind Movies movement. Tens of thousands of new students began flocking to us. And I experienced remarkable elevations in my finances, my health and even my relationships with my friends, co-workers and students. So it came as no surprise that when I started sharing this Ultimate Success Formula with my loved ones, every single one began experiencing similar breakthroughs in their lives. One student of mine was wheelchair-bound for 8 years after a tragic car accident. He was told he would never walk again, but after altering his medical approach and adopting many elements of this Ultimate Success Formula... he beat the odds, and now travels the world speaking at motivational seminars. Another is a close friend, who is now a bestselling author and speaker. She used very similar principles found in this Ultimate Success Formula to overcome an entire childhood of abuse, to forgive her father, and even become a successful entrepreneur. And then there was another dear friend of mine, who as a teenager, went to prison for 4 ½ years - and ended up becoming a teacher in prison for her cellmates, and who now teaches women how to tap into their gifts, learn from their experience and build meaningful businesses and careers. And when I asked her how she did it... guess what? Yet again it corresponds to this Ultimate Success Formula I'm telling you about. What Does Your Ultimate Success Look Like? 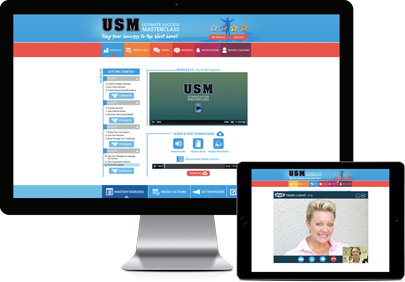 The Ultimate Success Masterclass (USM) 2.0 is an intensive and interactive online experience that trains you in every aspect of our Ultimate Success Formula. 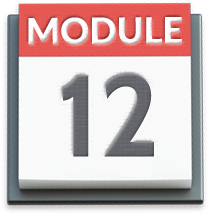 USM breaks down the Ultimate Success Formula into 12 compact modules, each with its own unique focus. 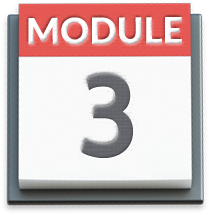 As you progress through these modules at your own pace, you'll receive each piece of the Ultimate Success Formula. 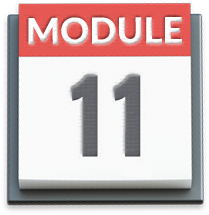 In your opening module, you'll discover how to apply the daily rituals used by successful people to tune themselves to the 'frequency' of abundance and success... so opportunities, wealth and the right people gravitate into your life on autopilot. The next step of the formula is to take control of your destiny through empowering intentions and goals. In this module, you'll get powerful tools that will help you enlist the help of the Universe itself to energize your intentions and goals... and even eye-opening exercises for selecting the intentions and goals that best serve you. Once you've set intentions, the next step is to create supercharged affirmations that program you and rocket you towards those intentions. We'll go DEEP in this one, exploring subjects like Neuro Linguistic Programming and 'power' affirmations that add extra juice to your manifesting momentum. Many personal growth courses talk about the LOA, but we'll go far deeper here with tutorials on how to activate your Reticular Activating System, which is the part of your brain that controls your manifesting power. Plus, you'll get a ton of other tips and tricks for supercharging the LOA, including how to infuse the power of emotion and repetition into your daily rituals. 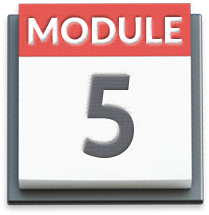 In module 5, you'll master the RIGHT way to take action towards your goals, by tapping into what I call your 'Inner Guidance System'. You'll also get a handpicked set of tools to help you move forward, including a Taking Action checklist and a number of ingenious methods for keeping yourself driven and inspired as you take action. The next step of the formula guides you through a remarkable process for deleting the limiting beliefs wedged deep in your subconscious mind (you'll be surprised when you learn where many of these beliefs come from). You'll also experience a variety of Mastery Exercises that elevate you to a high-vibration state, where new limiting beliefs cannot take root. 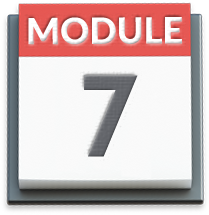 Module 7 focuses on strengthening the core values that will help you make the right decisions for your career, your finances, your happiness and every area of your life. You'll get some extremely powerful tools here including Core Values worksheets and a guide to getting into your 'happy place', where your clarity is at its peak. Next up, I'll bring on my dear friend Janet Attwood, the #1 New York Times bestselling author of The Passion Test, to tell you about the nature of passion, some of the greatest misconceptions about passion, and most importantly, how to realistically and sustainably turn your passions into a focal point of your life. Here you'll also experience her remarkable Passion Text exercise for discovering what you're really passionate about. 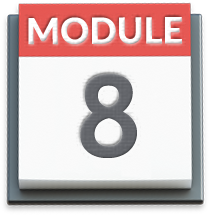 Module 9 is a deep dive into overcoming your personal challenges. Here you'll get some fantastic assets for soaring above the barriers holding you back, including how to remove 'Energy Draining' people and situations from your life, how to reclaim priceless pockets of time in your busy day, and even how to turn your challenges into rocket fuel for your goals. 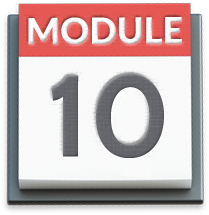 Module 10 takes you even deeper into the Ultimate Success Formula, by showing you how to harness your thoughts and words to supercharge your abundance, empathy, productivity and mindset. You'll discover how you sabotage yourself through innocent thoughts and words you use every day - and how to replace them with empowering ones that draw affluence towards you like a higher-powered magnet. Once you've mastered the Ultimate Success Formula's internal tools for peak performance, it's time to meet the collective consciousness known as 'Source'. Here you'll master the art and science of asking the Universe itself for help, and aligning your decisions, thoughts and actions to be in harmony with the rhythm of the cosmos. I'll even give you my 5-second 'brainwave' technique I use every morning to stay aligned with my goals. 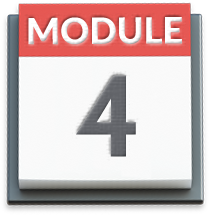 In this final module, we'll lock in all the growth and breakthroughs you've made on your journey. The key is through easy and fun techniques that allow you to absorb all these principles into your daily life, so they become as normal and effortless to you as breathing. The Ultimate Success Masterclass 2.0 brings together all the requests, fresh ideas and innovations we've gathered since designing the original curriculum. The follow-through is often the trickiest thing. Just ask all those half-read books and broken New Year resolutions. So as you complete each level of the Ultimate Success Masterclass, you'll receive a digital congratulatory gift package specially curated to keep you motivated and vibin' towards your goals. Speaking of starting, you can even restart USM as many times as you like after graduating. Many of our students do this multiple times (some even make it an annual event), to keep themselves in peak condition and to stay on top of the new challenges entering their lives. The best personal growth is always personal. 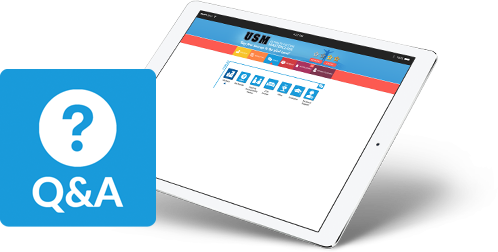 So the moment you begin USM, you'll start receiving customized motivational and training emails based on your unique actions within the curriculum. So whether you need a little dose of inspiration to finish the level you're on... or if we've found a particular tool or exercise that's perfect for you... expect to always receive the motivating messages you need to hear, when you need to hear them. You're busy. Possibly even too busy (which is one of the many reasons people join us - to reduce their overwhelm and start living on their own terms). I get it, because I'm busy too. So I've designed USM to work around your busy life, instead of adding to your overwhelm - which is why you're free to study it at your own pace. Your daily rituals and Mastery exercises take just a few minutes to perform, and can be done at any time of day that feels best to you. As for your lessons, you can choose to spread them out over a few mornings or evenings, or instead, spend a couple hours of focus time on the weekend. You can even take a break when you find yourself extra busy with work or family. You also get direct access to friendly USM coaches eager to answer your questions and save you time and energy. Plus a host of easy-to-use productivity tools that make it easy (and FUN!) 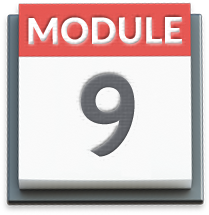 to stay on top of your USM tasks and trainings. My intention with USM is to bring you as close as possible to a high-end mastermind experience... minus the high price and months of waiting. This means in-depth training with a personal touch - which includes a variety of engaging community features like forums, a secret Facebook page, a private message tool and insider-only events. You'll love connecting, co-creating and accelerating your results with kindred spirits on the same path as you - and who knows, you might even meet someone special you'll stay connected with for life. Just use this to leave a question for me - any question, as long as it's about personal growth or the Ultimate Success Formula! - and I'll give you a quick, personal and in-depth reply. USM is our only course that gives you this level of access to both me and our community. Knowing you're living in delicious alignment with your passions, goals and dreams? Many people spend decades of time and untold sums of money on books, programs, seminars and coaching to slowly piece together that kind of life. But what if there was an easier way? A fast track to your Ultimate Success? And give you nothing but the best peak performance and mind science wisdom available on the planet - synthesized into one lean, personalized and flexible curriculum. This is the cream of personal growth training. And it's also the closest you'll get to a high-end personal coaching experience - but at a tiny fraction of the price. 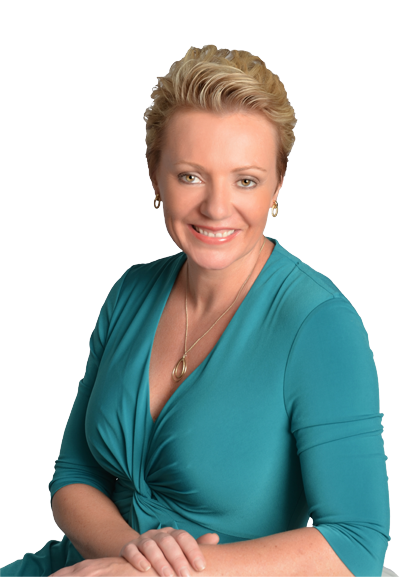 Your investment in the Ultimate Success Masterclass is a one-time payment of just $997. That's the best deal you'll find on this level of peak performance training. And if you prefer, our Easy Payment Plan even lets you get started for just $169.99. The Mind Movies Creation Kit is our original and most popular technology of all time. It's a simple yet powerful software... used by over 5.8 million people worldwide to create fully personalized 3-minute 'animated vision boards' that combine vivid photos and images, emotionally inspiring music and powerful affirmations to SUPERCHARGE their manifesting power, and bring their passions, dreams and goals into reality. All you do is follow the simple instructions to create your Mind Movie, watch it for a few quick minutes a day... and let it do the rest of the work, programming your subconscious mind and aligning your vibrations with what you want in life. You'll be amazed at how the Universe responds to this alignment, as it inexplicably draws the people, resources and opportunities you need to make your dreams come to life. As you can imagine, this kit is an extremely powerful tool to complete USM, because you can use your Mind Movies to amplify the speed and depth of your results. 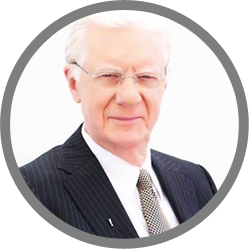 * A live monthly teleseminar coaching call with myself and some of the most inspiring personal growth experts and authors on the planet, from Bob Proctor to John Assaraf to Dr. Joe Vitale. * A subliminal audio download created by our brainwave entrainment expert Morry Zelcovitch, that will help you naturally reprogram your subconscious mind for effortless success in the areas of money, mindset, confidence, productivity and more. * Mind Movies Subliminal, an easy-to-use tool that allows you to play your Mind Movie faintly in the background of your computer, so that even while you’re working or surfing the web, you can continue to feed your subconscious mind with all of the positively charged images and affirmations you choose to put inside your Mind Movie. 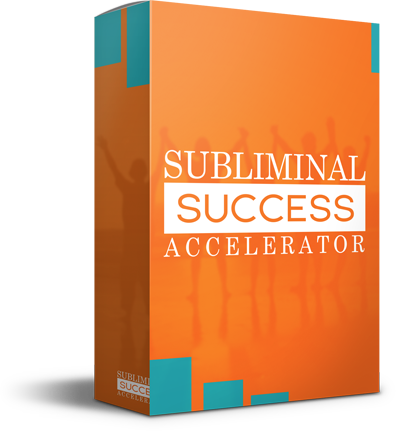 When you enroll in USM today, you get 12 months of free access to the Subliminal Success Accelerator program - and it's a fantastic way to lock in and amplify your peak performance, long after you've completed your USM curriculum. If the Ultimate Success Masterclass doesn't give you the biggest breakthrough of your life - whether that's in your career, finances, relationships or health - then we'll give you a full, friendly, no-questions-asked enrollment fee refund. As you can see, this offer puts all your risk on us - and we wouldn't be making it if we weren't so sure that your Ultimate Success is inevitable once you begin this journey with us. Like I said in the beginning, I must remind you that USM is not for everyone - and that's a good thing. Why? Because our tribe is such a big part of the USM experience. I am fiercely protective of this experience, so I only want to enrich it with the kind of positive, ambitious and committed people who already make up our tribe. * And of course support, co-create and connect with the wonderful people who make up our tribe. Your personal challenges will disappear into thin air. Your life will rise to exhilarating new heights. And Ultimate Success will become a part of who you are. 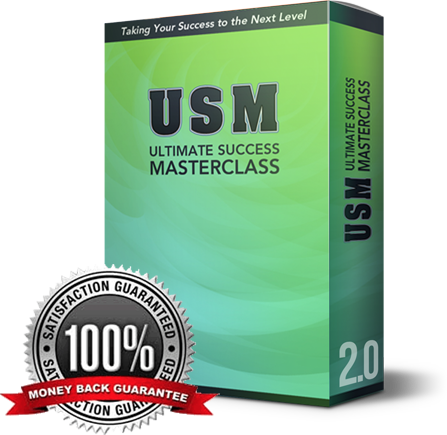 I'm thrilled to finally share this upgraded version of the Ultimate Success Masterclass with the world. We've already helped thousands with the original curriculum - and I believe we can help tens of thousands more with this new and improved one. None of this would have happened without the support of our tribe. And that's a special introductory enrollment fee of just $997. Plus, you'll also qualify for free lifetime access to all future curriculum upgrades. 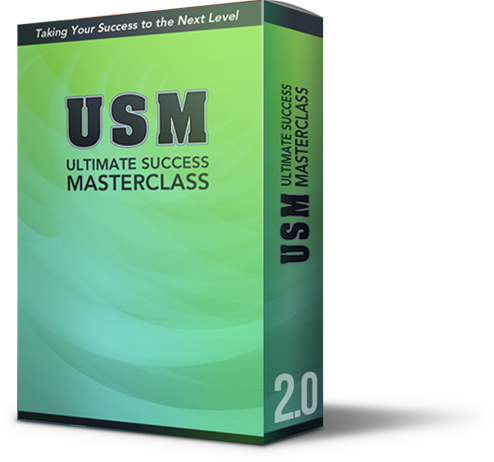 When does the Ultimate Success Masterclass start? In the past, new students were required to wait for the start of each new intake before they could proceed. Based on popular demand we have now removed this requirement, so you're free to start the very second you're ready. I've got a busy daily schedule - how much time will I need to invest to get results? 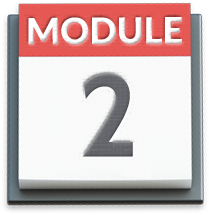 The curriculum is divided into 12 modules, each focusing on a unique element of the Ultimate Success Formula. 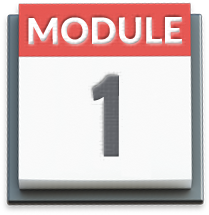 Each module will take just a couple hours to complete, and you're free to study each one at your own pace. Aside from your lessons, you'll also have tools and Mastery exercises that take just a few minutes a day. So yes, there is some time commitment involved as you progress through the curriculum. But as the vast majority of our students will tell you, the personal breakthroughs and epiphanies you'll experience through USM make it one of the best things you'll ever do for yourself. Plus, USM will optimize your habits, focus, energy and productivity so that you ultimately become far less busy and stressed than before. What kind of results should I expect with USM? You should expect to become a far better manifestor. You'll become more creative and intuitive. You'll become more in tune with your feelings, your passions and your desires. You'll connect better with people, have greater empathy and be more persuasive. You'll be more aligned with the vibrations of your surroundings, and you'll gain a sense of 'harmony' with the world around you. In a nutshell, all the personal growth and neuroscientific and psychological tools you get will elevate your mind, body and spirit to peak condition… and you'll grow into one of those people that others see as an inspiration and as proof that human potential is truly limitless. Then, what you do with this newfound power is totally up to you - maybe you'll use it to get ahead in your career? Your finances? Your love life or social circle? Or even just in your relationship with yourself? The possibilities are infinite. I'm interested, but is there an even more affordable way to take part? Absolutely! You can get started for just $169.99 today followed by only 5 more monthly payments of $169.99. This way, it’s affordable to get in and get started today without having to fork out the full amount. What exactly do I get when I join? 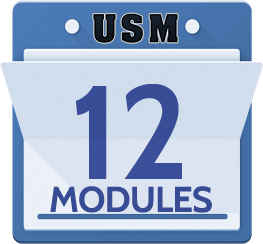 You get instant access to the entire 12-part USM curriculum. You get a set of teleseminars and Mastery Exercises to deepen your results for each module, and keep you on the right track. You get lifetime access to our private USM membership site, where you get exclusive access to me and the global community. Plus you get two free bonuses worth $661, and a nearly 75% unconditional discount when you join TODAY. What if I change my mind halfway? That's what the 60-day money back guarantee is for. You can try out USM for a full 60 days - that's TWO whole months - and get a full refund for any reason whatsoever. 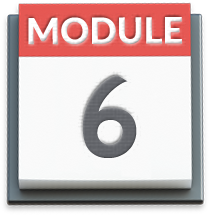 Even if it's because you just can't find the time to go through the modules. You've really got nothing to lose here. 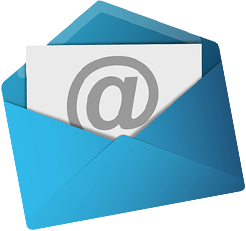 Email us at [email protected] for a quick and friendly answer.